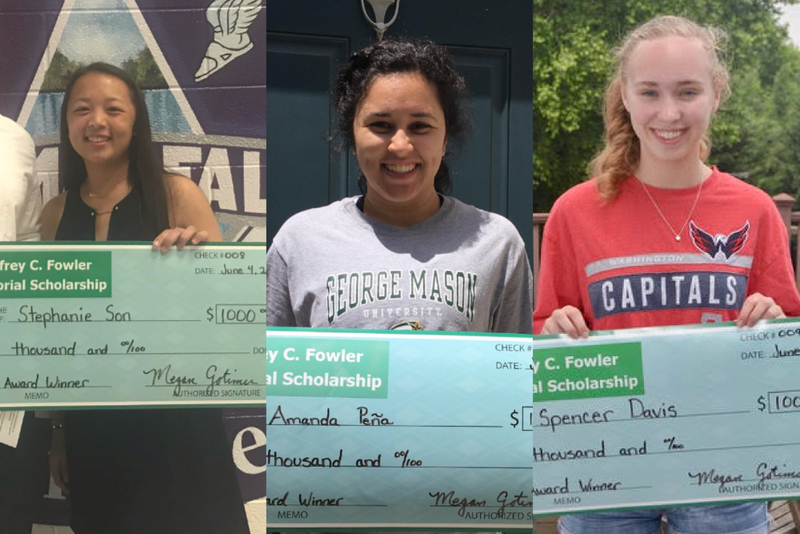 Loudoun County, Va. — The Jeffrey C. Fowler Memorial Scholarship committee is pleased to announce Loudoun County High School senior Spencer Davis, Freedom High School senior Amanda Peña and Potomac Falls High School senior Stephanie Son as the 2018 recipients of the JCFM scholarship. Davis, Peña and Son will each receive a $1,000, nonrenewable scholarship to use at an accredited higher education institution starting in the 2018-2019 school year. Spencer Davis was a four-year member of the swim program at Loudoun County, who plans to attend the University of Virginia in the fall. On top of her athletic endeavors, Davis is an avid participant in global young scientists programs. In 2018, Davis presented her findings to more than 800 cardiologists, nurses and other healthcare professionals at Cardiology 2018 in Arizona. Amanda Peña was a captain of the volleyball program at Freedom, who plans to attend George Mason University in the fall. On top of her athletic endeavors, Peña was an active member of her community, who serves as a youth volleyball coach with Dulles South Youth Sports. Stephanie Son was a four-year member of the soccer program at Potomac Falls, who plans to attend the College of William & Mary in the fall. 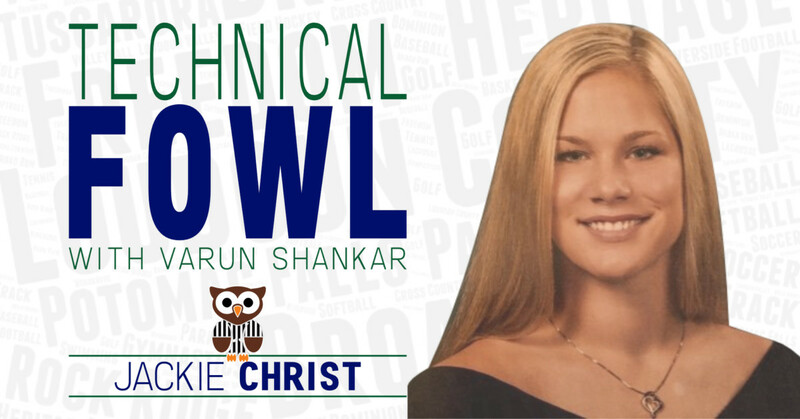 On top of her athletic endeavors, Son was an active member of the Panthers’ National Honor Society and Key Club, where she organized several fundraisers to support the global community. Jeff Fowler, or “Fig” as his Patriot teammates called him, was a 1983 graduate of Park View High School where he played baseball and basketball for the Patriots. On and off the field, Jeff Fowler dedicated his life to his family and teaching his 15 nieces and nephews – hence the moniker Uncle Jeff – everything he could about sports, but more importantly served as a lifelong role model for everyone he ever met. On March 23, 2013, Uncle Jeff lost his 14 year battle with Non-Hodgkin Lymphoma. In 2015, Jeff Fowler’s family started a scholarship in his honor, to give back to local students who display remarkable passion for sports. In four years, the JCFM scholarship committee has awarded eleven students more than $8,500 in scholarship money.